The Taiwanese director Hou Hsiao-Hsien (Flowers Of Shanghai, The Assassin) has spent the better part of his career musing about how our personal and emotional lives are constrained by the times we’re born into—a theme one finds wiggling around Daughter Of The Nile, a despondent early-ish feature from 1987. Hou was already a gifted stylist by the time he made the film, which is getting a belated Stateside theatrical run, though he wouldn’t reach full artistic maturity until his next movie, A City Of Sadness. 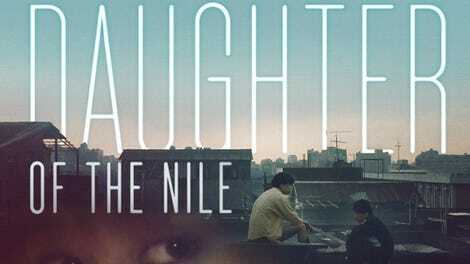 In Daughter Of The Nile, his studious mise-en-scène—which extends to the soundtrack, seasoned with semi-ironic American pop songs—is sometimes lost on the indistinct plotting and narrative continuity. What actually unfolds in Daughter Of The Nile is a shuffling and considering of possible conflicts and clashing obligations and aspirations that often come to a head off-screen. Its heroine, Hsiao-Yang (Yang Lin, an ’80s pop singer), is a 19-year-old part-time student who works at a Kentucky Fried Chicken in Taipei, coming home to tend to her little sister and her grandfather (Li Tian-Lu, the subject of Hou’s masterpiece The Puppetmaster) while her cop dad (Tsui Fu Sheng) squabbles with her small-time gangster brother (Jack Kao, later a Hou regular) in the living room; to make matters worse, Hsiao-Yang is nursing a crush on one of her brother’s good-for-nothing buddies. Compared to Edward Yang’s recently restored Taipei Story, which Hou co-wrote and co-starred in, or to the druggy, spellbinding ennui of Hou’s later Millennium Mambo, Daughter Of The Nile can feel insubstantial; it isn’t a mood piece, but a film best appreciated for its composed moodiness. It would take a meticulous attention to detail (probably not as meticulous as Hou’s) to notice how the angles can vary in deceptively simple, apparently identical shots, but one doesn’t need to measure minute onscreen adjustments of doorways to pick up on the melancholy uncertainty that surrounds the characters. The title, a seeming non sequitur, actually refers to Hsiao-Yang’s favorite comic book, the long-running manga Crest Of The Royal Family, about an American teenager who gets sucked back in time into ancient Egypt. It seems that when you’re lost in your own life, even your romantic fantasies end up being about dislocation.